Have you ever started a work from home business only to quit weeks later? Why is it so hard to make money from home if so many other people have done it? It’s because you didn’t start the RIGHT work from home business for YOU! That’s why I created this How to Make Money Directory. You’ll find a summary of each how to make money idea along with links to posts on the blog. Like any directory, it’s constantly evolving to add more ways to make money from home and more resources. You’ll get a better idea of which work from home business strategy is right for you, how much time they take and how to be successful. What you won’t find on the How to Make Money from Home directory or on the blog is all the little ideas to make quick cash on the internet. You know what I mean, all the nickel-and-dime make money from home ideas to make $10 for a week’s worth of internet surfing or surveys. I hate seeing those types of posts when searching for legitimate work at home ideas because you could work 80 hours a week and still wouldn’t be able to pay the bills. You also won’t find investing ideas or stuff like how to make money renting out a room. I love investing and write about it on my other blogs but it’s not an active way to make money. It’s more of a passive source of return on your money rather than a business you can start from home. This site is for legit work from home business ideas you can grow into a real income. Blogging is one of the most popular work from home ideas but it’s also one of the most difficult. Millions of new blogs are started every year with less than half lasting more than six months. 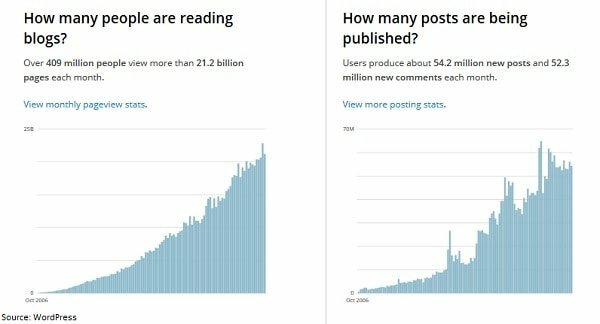 Nearly two million posts are written every day, attracting more than 400 million readers. The hurdle for most people is that few understand how much goes into running a successful blog. Besides just creating the blog posts; you’ll need to do social media marketing, blogger outreach, business accounting, strategic development and constantly be learning how to make more money from your blog. The good news is that, if you learn how to run your blog and stick with it, you can make a ton of money. I was making more than $1,000 a month from blogging in less than a year and a lot of bloggers I know make tens of thousands a month. 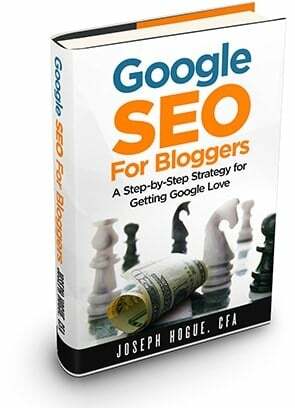 Get everything you need to make money blogging with this step-by-step guide. 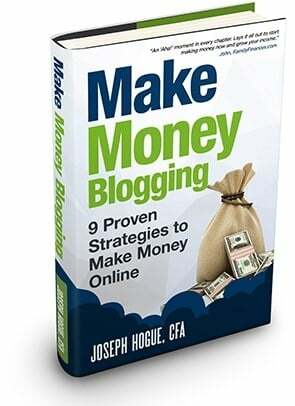 Check out Make Money Blogging: 9 Proven Methods to Make Money Online, the step-by-step process I used to make more than 85% of bloggers in less than two years. 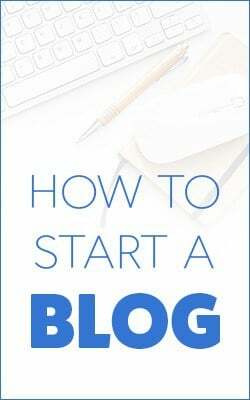 I detail all nine strategies I’ve used to make money blogging from the easy ways to start making money immediately to the methods that make thousands a month. Self-publishing has been the easiest way I’ve found to really make great work from home money. You need to start from a point of expertise in something but you’ll be surprised how quickly you can build your skills, put together an idea and start making money on your self-published work. I created six books my first year of self-publishing and make over $1,800 per month. The best part about self-publishing is that it’s a natural fit with blogging in your work from home strategy. You’re already creating content for your blog and can repurpose it as part of your books. Your blog also provides a huge distribution advantage to sell your books and boost your rank on Amazon. Freelancing is where most people start their work from home stories and really encompasses a huge range of jobs. Freelancing is simply doing a job on a contract basis for different clients and not working for a permanent employer. The internet age has brought an explosion of opportunities to freelancing and just about any traditional job can be done on a work from home basis. With globalization and advances in remote working, employers are starting to open up to freelance employees as well. Freelancing isn’t just for computer programmers anymore. Freelancing isn’t just deciding one day that you’re going to stop going to work. Being successful means setting everything up to attract clients and run your own business. We’ll cover how to avoid the biggest mistakes and where to find clients here on the blog. I’ve got to say that I was skeptical about this one at first but you can actually make a lot of money reselling on Craigslist and other websites. The beauty of Craigslist is that it’s local so you don’t have to compete globally like you do in other work from home jobs. By keeping your market local and really getting to know the products you buy and sell, you can build an immense level of expertise and find the best deals. I’ve started seeing people combine Craigslist reselling with other ideas like Amazon FBA to make even more money. We’ll cover different business ideas for Craigslist and Ebay reselling as well as how to make it profitable and how to make it your full-time job. Amazon FBA and drop shipping is the future of shopping. I didn’t realize how huge it had become until going to a presentation on the idea. Drop shipping is when you partner with a manufacturer and then sell their products through your online store or some other platform. The products still carry the manufacturer’s name and brand. When a customer places an order, the manufacturer or wholesaler ships directly to the customer. The retailer (you) never takes possession of the product or hold it in inventory. Your profit is whatever you can sell the item for minus the price you pay to the manufacturer or wholesaler. Amazon FBA goes one step further with your brand on the product. You contract with a manufacturer to produce a certain amount of a product and ship the order to one of Amazon’s warehouses. All the products carry your labels and brand. You then sell through Amazon and on your own website and Amazon ships directly to your customers. 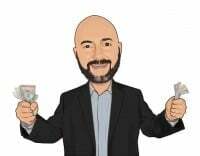 The profits on Amazon FBA can be much higher compared to drop shipping because you can compete on your own brand instead of just reselling someone else’s product. This is a whole new work from home idea for me so I’m going to be bringing in some Amazon FBA experts and people with great experience into the tips and tricks you need to be successful. I started out doing business and investment consulting when I first started transitioning into my work from home business. Your blog acts as a natural marketing device for consulting work and you can get some great per hour rates depending on the area in which you focus. I stopped doing consulting work because it takes a lot of time to get new clients and then do the actual consulting. I know several freelancers that make thousands a month doing business consulting and wouldn’t think of doing anything else. Video consulting and other course material creation is a great alternative to consulting because you can create your product once and then resell it over and over again. Video courses work as a great complement to self-published books because you can sell to people that are visual learners and would rather watch a video. Through my years of consulting, I realized that most people have pretty much the same questions so why not just create a course that walks people through the process and answers the most frequent questions. I’m preparing my own video courses now for sale on Udemy. Your turn! What are your best work from home ideas? Send me an email, I always love to hear about new ways to make money and how to make money from home.